A couple of things working on a vaguely Brazilian theme this week. Sergio Mendes & crew from 1966 with some sublime bossa. Then Sun Kil Moon from this year treating his poetic soul songs to some sunny classical guitars and saxophone. Sabina brought it north a bit with a lovely mariachi vibe. SlowPlaceLikeHome is another sound of summer, but closer to Berlin via Donegal. A much darker mid-section with the brooding orchestra of Roll The Dice, the stalking bass pulse of Automat with vocals by Lydia Lunch & the tortured sax meditation of Polar Bear. Chris Stroffolino is a fascinating sounding character I'll come back to, among other things he's a fan of The Kinks, as am I, and sure who isn't? Centrepiece and crowning glory from the Swedish duo’s wonderful third album. 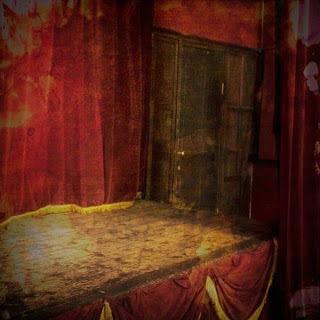 Ominous bass drum thuds set the bleak urban scene, industrial rattles fill the middle ground, a lonely piano line front and centre. Then the orchestra cruises in with a melody of stately melancholy, carrying the sense of human toil and ambition under attack from an indistinct tumult of external sources. It’s becoming a bit of a cliché these days to describe a piece of music as being widescreen or cinematic, but this one has a genuine emotional sweep to it. *Check also the air raid sirens, clattering backbeat and stabbing strings of ‘Perpetual motion’ for a later chapter in RTD’s compelling narrative. Debut single from Dublin 4-piece and it’s an absolute belter. The appearance of a 12-string electric alone makes it something of an event but apart from that there’s plenty more goodness in here. The tune itself is a blistering jangle pop gem, channelling equal parts Johnny Marr and Paisley Underground. Leave her alone with the babysitter. It’s most winsome and very clever but not at the expense of memorable hooks. 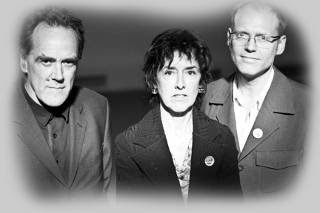 It’s all enough to make you pine for the days when bands like Microdisney and Aztec Camera ruled the airwaves. It would certainly tend to restore your faith in guitar pop. I get sent quite a bit of music, covering a broad range of, let’s call it pop music. This is a first in my time doing the show – a piece of music that references Cork city directly, explicitly and funnily enough the band isn’t even from Cork. ‘The River Lee’ caught my eye straightaway – that’s the river that runs through Cork. The song also mentions Shandon, an area of Cork city. (The only other group I can think of to do this is Cork 80s band Five Go Down To The Sea in their classic ‘There’s a fish on top of Shandon (swears he’s Elvis)’.) First, here’s some background on the band. A delightfully scathing dismissal of a certain male type (you know the ones, long hair, raggle taggle), delivered with clear-eyed cool and bracing power chords. You can get away with anything these days. The first taste of the debut album of Keith Mannion from Donegal and it’s very much in keeping with the EPs that came before it; that is to say, warm and fuzzy synth textures with buckets of heart and soul. There’s a class tune at the core, with more than a hint of kosmische to it, although considerably more uptempo than that might lead you to believe. But what I like most about it is the wonderful building arrangement, a great combination of pulses and washes and squelches. And (in a break from the earlier EPs) some vocals you can actually – mostly – decipher. Say hello to the soundtrack of your summer. Today is the 25th anniversary of the death of Cork post-punk legend Finbarr Donnelly (there's a special tribute event at The Pavilion to mark the date). We had to have some Five Go Down To The Sea to mark it in our own way - 'There's a fish on top of Shandon (swears he's Elvis)' still sounds remarkable today. Remember Dark Captain? Meet Astronauts, that's Dan Carney's new group, sounding quite in keeping and just as great as before, cellos and beats and drones. Nice to hear it with the folk swing of Arch Garrison and the spooky cultish mood of Paul Giovanni's Wicker Man film music. Trans Am, The Elwins, Matmos and more, check them all on these pages. Not so new but an album I've just been getting into recently by Sun Kil Moon (with thanks to my buddy Neil). That's Mark Kozelek, the veteran ex-Red House Painters man. Somehow, I never managed to get into that band. Maybe it’s an age thing for me now, cos this is certainly a mature person’s music (in years if not behaviour). 'Ben's my friend' is a rollercoaster of nostalgic memoir from middle life, surfing on a wave of bossa nova and collapsing under the weight of Kozelek’s creaking, soul-weary vocals. It's wonderful and so utterly plausible. Brothers James and Richard Larcombe, who make up Stars in Battledress, take elements of folk music, English music hall, classical and minimalism to make an adventurous pop brand all their own. Sharing vintage keys and guitars, they flit from uplifting to sinister to primal at the drop of a hat. James plays with North Sea Radio Orchestra and William D Drake (also Craig Fortnam, see this review) and those groups would give a fair idea of the kind of richness of melody and innovative song structures you can expect here. It ends up as quixotic as Van Dyke Parks, with something too of the heartfelt restlessness of Apple Venus-era XTC. The latter is certainly present in my own personal favourite, ‘Fluent English’, a plangent piano tune with a panoramic melody and an intellectual lyrical sweep. *I also love the Wicker Man-esque ‘Hunt the button’ and the scathing ‘Buy one now’, an antidote to consumerism in the cunning guise of an advertising jingle. Superior, writhing synth funk with enough room for a flavour of high-octane jazz fusion. Slinky key lines. Claves. Guitar shredding. Shut up and shake those hips. Another cut off the new Laurie Shaw album this week, along with a long-distance drone from Brisbane's Blank Realm. 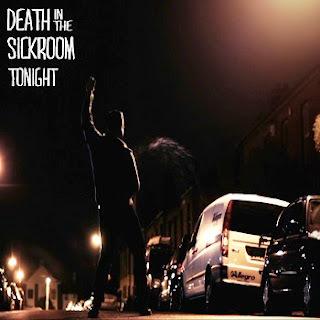 My favourite new song this week is from Dublin's Death in the Sickroom, a fantastic slice of jangle pop with teeth. More too from The Clientele reissue on Merge and Stars in Battledress with folk/classical gone wrong/right. Recent favourites Sabina, Tennis & Wussy. Plus some very dub-centred electronica from Automat, with a vocal turn from Genesis P-Orridge. A few new things of note this week. English garage rocker Laurie Shaw has another new album out, another intriguing foot stomper full of great tunes. From it, we had 'Black wolf blues'. The Clientele debut album Suburban light is being reissued on Merge, we took a great slice of jangle pop from that. And not so new but an album I've just been getting into recently by Sun Kil Moon. That's Mark Kozelek, ex Red House Painters. 'Ben's my friend' is a rollercoaster of nostalgic memoir from middle life, surfing on a wave of bossa nova. It's wonderful. Also St Vincent (fresh from her storming Primavera turn at the w'end), Roll the Dice (whose compelling new album is now out), The Elwins (one of the pop songs of the year) & Red Snapper (writhing synth funk). Plus a classic from The Zombies from 1968. Yes, always room for that.